We would like to enable each child to live a full life and to realise his or her full potential as a unique individual, to develop socially through living and co-operating with others and to be prepared for further education, work and lifelong learning. Mindful of the Catholic ethos of our school, we will endeavour to create an atmosphere conducive to the development of the child in all these ways and to retain a good home/school relationship in which parents, teachers, clergy and ancillary staff will all work as a team for the good of the children, the school and the wider community. · To foster, develop and maintain a good home/school relationship. Our school celebrates the uniqueness of each child as expressed in each child’s personality, intelligence and potential for development. Our school seeks to nurture the children in all dimensions of their lives. We aim to provide quality learning experiences through a broad, balanced and relevant curriculum. 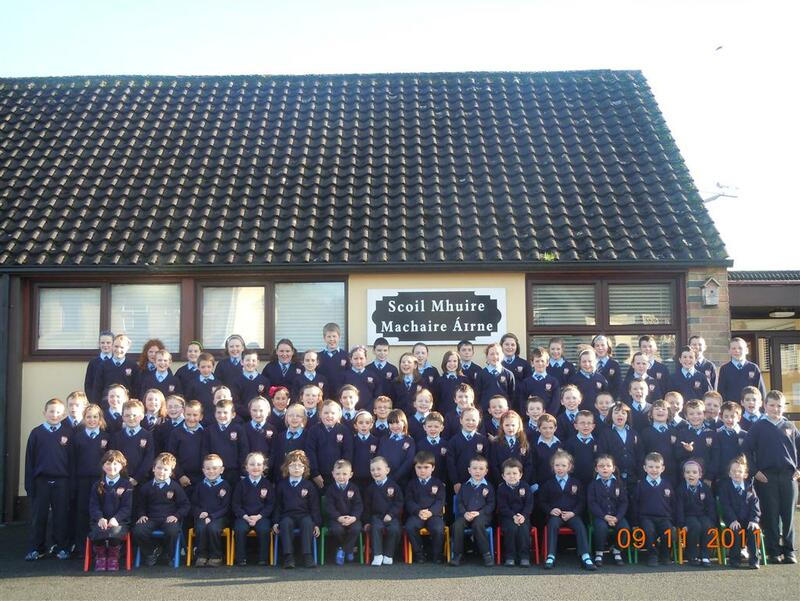 Scoil Mhuire is an integral part of the parish and we seek to provide a religious education in accordance with the doctrines and traditions of the Catholic Church and to ensure that the children are properly prepared for in the Sacraments. A spirit of mutual respect is promoted within our school for everyone, including those of different religious affiliations and of different nationalities. We maintain a close relationship with the parents and the local community and we encourage our pupils to participate in parish activities where appropriate. We promote the value of ‘learning’ in our school and provide an environment where our pupils can learn safely and happily at all times.